To those of you that haven’t been to the Philippines, let me tell you four words. You are missing out. Home to 7,107 islands, the Philippines is one of the best countries that we have traveled around in Southeast Asia (I admit to being a bit biased as I am from there!) 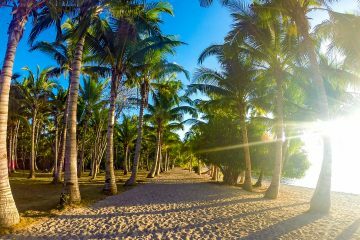 Nevertheless, between it’s idyllic palm fringed beaches, warm friendly people, and crystal clear waters, the Philippines has so much to offer travellers. Now as if traveling the Philippines isn’t enough, imagine being able to sail a locally skippered paraw (local sailboat) around uninhabited islands as you complete crazy challenges along the way. Sounds too good to be true? Well, keep reading because this is what the Philippines Sailing Challenge is all about. 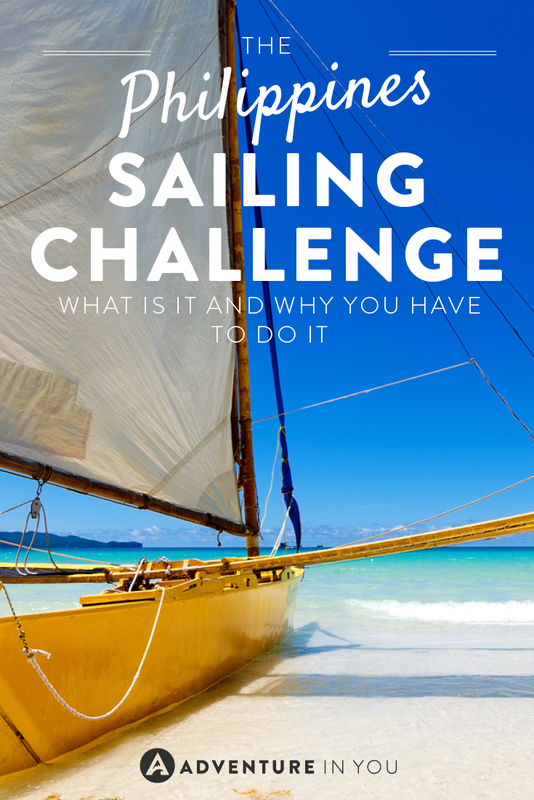 The Philippines Sailing Challenge: What is it? An Adventure of a Lifetime: Why You Should do It? From the creators of some of the most epic adventure challenges around the world, the guys over at Large Minority have decided to take it to the seas by organizing The Philippines Sailing Challenge. After receiving fantastic feedback from their tuk tuk challenges all over Sri Lanka and Cambodia, they decided to take their challenges to the seas. So what exactly is it? In a nutshell, the Philippines Challenge is a test on how well you can outwit and outsmart the other teams competing. 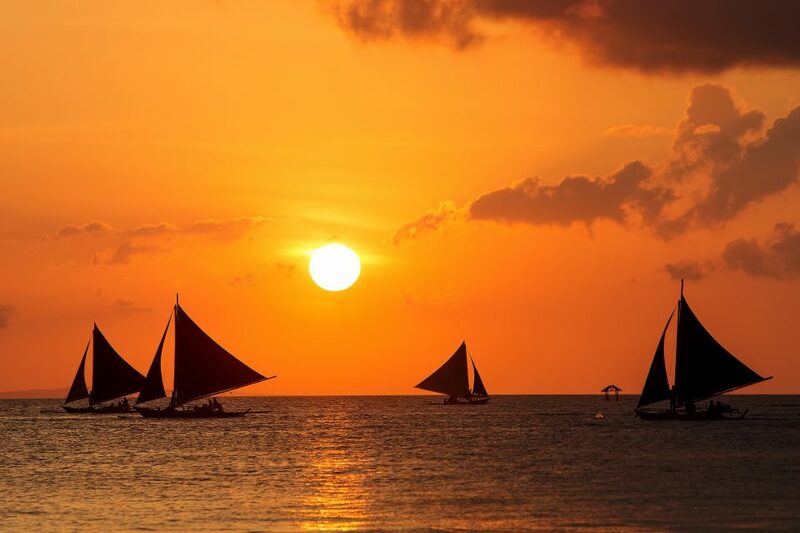 Aboard your paraw, you sail over 90 nautical miles around the stunning islands of Boracay. Ironically, no previous sailing experience is required as you will have a local team helping you out, however, be warned that your navigational skills will be tested. Although you don’t have to be a skilled sailor, you better hope you are directing your boat crew the right way! 8 nights, 9 days, competing against 10-15 teams, the Philippines Challenge is definitely a once in a lifetime experience. Watch out for the next one, coming soon! Training and sailing lessons on the day of arrival, but as mentioned, a local skipper and a two man team will be assigned to help you. Apart from that, full accommodation for 2-3 people will be provided for. 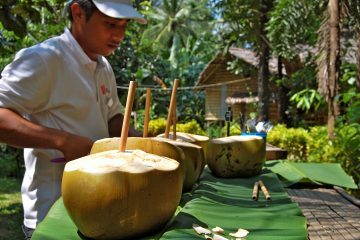 There rooms are a combination of both local beach hotels, hammocks, and homestays. Breakfast and lunch will also be provided along the way. 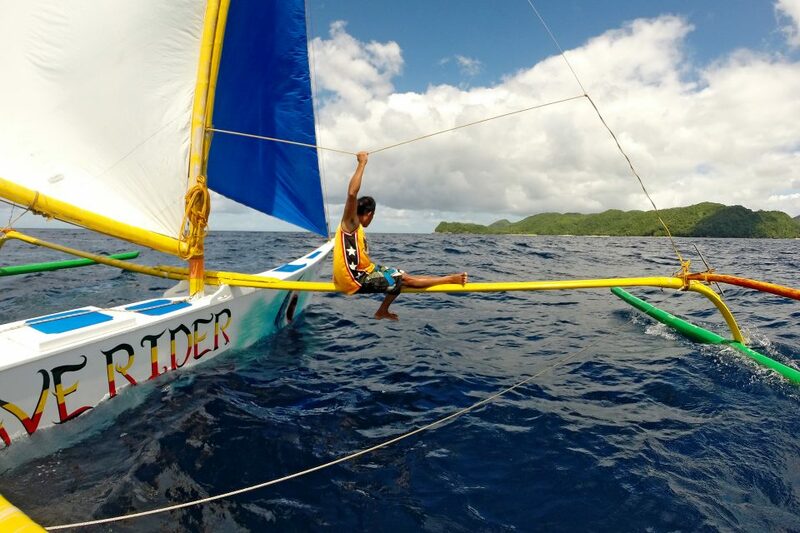 The winner of The Philippines Sailing Challenge is not just reliant on who gets to the destinations first. It is a race but points will also be awarded to those that complete challenges along the way. Each team will be given a daily navigational sheet to follow and the winning team will be declared the winner based on whoever reaches the end point at the shortest time possible, combined with the points from the challenges along the way. In other words, it will be EPIC. For more details on what else is included, you can check it out here. Large Minority specializes in creating meaningful, unusual travel experiences which are not part of your regular travel experience. Since 2009, they have been creating and organizing these adventure challenges which are designed to push people out of their comfort zones alongside with giving them the most authentic and memorable experiences. Imagine sailing from one uninhabited island to the next. The former challenges that Large Minority have organized have all created a special bond between all the teams, regardless if you are competing with each other or not. Adventure means different things to everyone. We even wrote about it in our post, What the Hell does Adventure Mean? For thrill seekers like us, a regular beach holiday is great but we’ve done that one too many times before. This however, is something rather different. It’s also perfect for those who only get a couple weeks of holiday in a year. Why not make the most out of your days and opt to do something incredibly memorable? 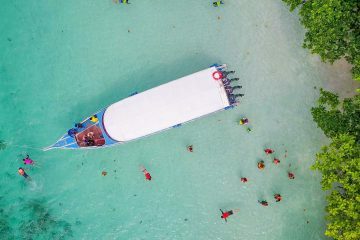 With each day filled with swimming, snorkelling, coconut tree climbing, sailing around deserted islands, watching the most insane sunsets, and camping in stunning beaches, prepare yourself for an adventure of a lifetime. Still thinking twice? One word. Don’t. So despite having zero sailing and navigational skills, we decided to take on this challenge, crazy costumes and all. For 9 days, we competed against 9 teams, sailing to some of the most beautiful remote islands. It was a memorable week of sailing and running around completing challenges as we slept under the stars and bonded with like minded travelers. This post was written in partnership between Adventure In You and Large Minority. Some photos were sourced from Large Minority. Okay, you’ve convinced me to visit the Philippines! What a BEAUTIFUL part of the world. Thanks so much for sharing 🙂 Can’t wait to read more. You should definitely go Carmen! What an experience! I am excited to read more about your sailing adventure in the Philippines. I haven’t’ been to the Phillippines yet but I hope to visit one day. Thank you!! We are super excited! This sounds pretty cool. I haven’t been sailing. 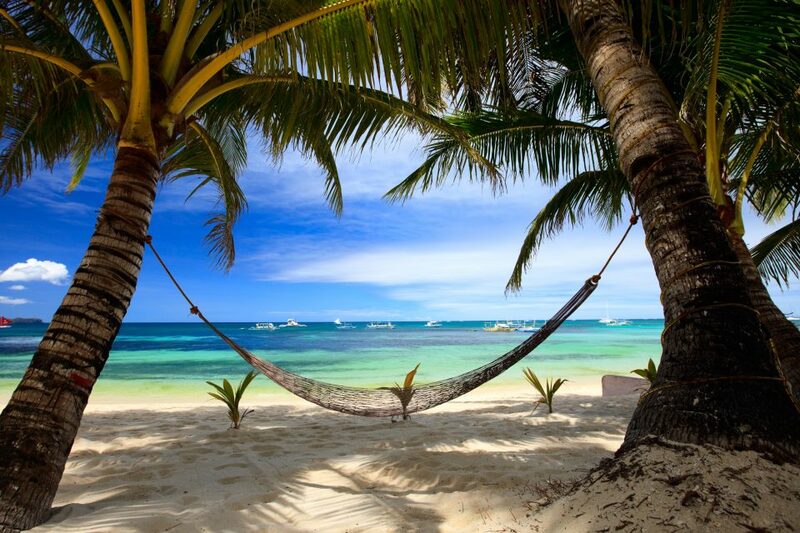 I would love to visit the Philippines! See you in the Philippines, Meg! Sound so much of fun ! Would definitely want to try my hand on Sailing some day and Philippines looks like the perfect destination to do so. Sounds totally cool and I love adventure. But not sure I could do a sailboat. I love cruising, but those are big ships and a small boat and me might not mix well. But kudos to everyone else. That sounds amazing. I’d be a bit concerned with the navigation though, with my sense of direction our crew would see a lot but probably cover a lot of extra nautical miles along the way. Being a filipino like you, I’ve had my fair share of ‘sailing’ in the country BUT I’ve never tried this! Thanks for sharing it Anna. 😀 That’s something I should tick off my to-do list! How fun, Anna!! It’s going to be a great adventure. We should be in the area at that time. If we can co-ordinate, we’ll come and cheers you guys. Looking forward to following this adventure…especially your preparation phase. Good luck!! 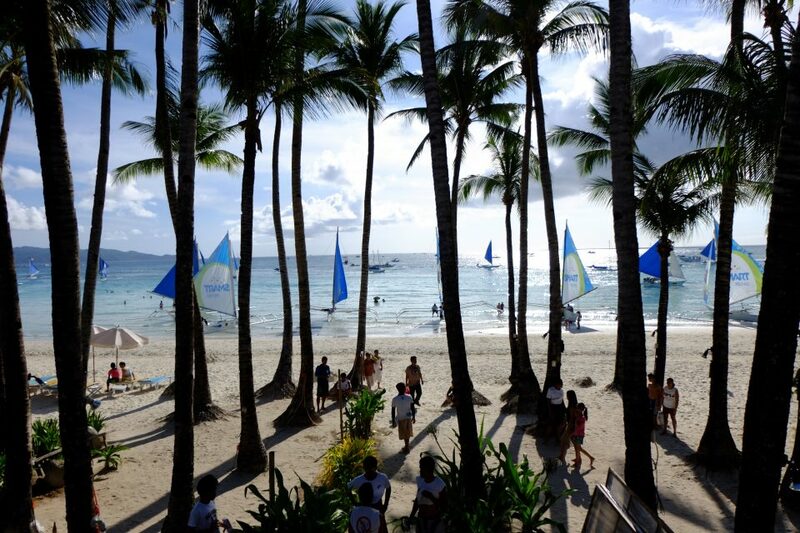 Boracay is the best place to have such a great adventure! While we were in Boracay in 2015, one of our favorite activities was sailing in that beautifully clear water. I’m sure this sailing challenge is going to be fantastic! I am reading this and I am thinking I would love to do this so badly. I have no experience sailing, but it seems like such an amazing and fun activity. Except for the coconut tree climbing. I will probably sit under the tree and drink a few of the coconuts instead. This is soooo cool. I am actually going to be in the Philippines on those dates. Seriously considering this! This sounds like an epic adventure!!! This looks like so much fun! Sadly, I haven’t been to the Philippines yet, but hopefully I’ll make it there in the near future. I absolutely love the idea of this but am heading to the Philippines in November so just miss out. How sad! Looks like a stunning place to head off on a sailing holiday. Is it safe to sail around the Philippines and do you have to be an accomplished sailor? This sounds like so much fun. The challenge, but also getting to see the gorgeous islands of The Philippines at the same time. It’s great that you can be a novice on the water and still participate. Is this different from dragon boat racing? I was asked to join once and thought it would be really cool, but schedules didn’t permit it. 🙂 Anyway I think contests such as this one are good for the Philippine tourism. We’ll be able to offer more activities and hopefully attract a market of adrenaline seekers. The Philippines is as near as it can get to heaven. So much beauty in the form of its many islands and beaches. The sailing challenge looks to be a great and exciting activity. It is interesting to note that no prior sailing experience is required. If I didn’t have a regular job I would definitely join this. It looks like a lot of fun. I’m not really a good swimmer, probably some activities would involved swimming so I’m not sure how I’d fare in those but still, if I’m able, I’d love to do it. It sounds like an adventure of a lifetime. Hah! I’m not a great swimmer either. I’ll let you know how it goes. What an epic adventure! 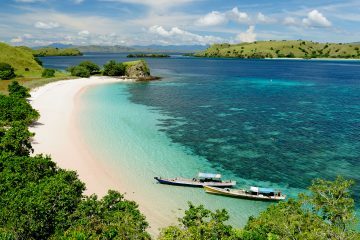 The Philippines sailing challenge sounds like an amazing challenge and experience! Stunning pictures!